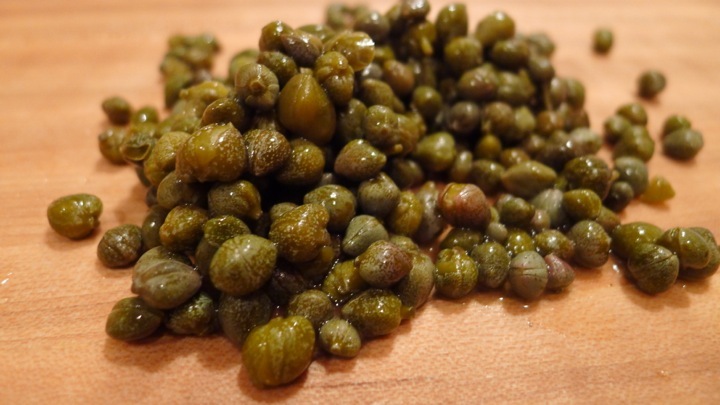 Capers!! I could eat them all day. I currently have 3 jars of capers in my fridge, which totally seems a little over the top now that I think about it, but they’re just so good! 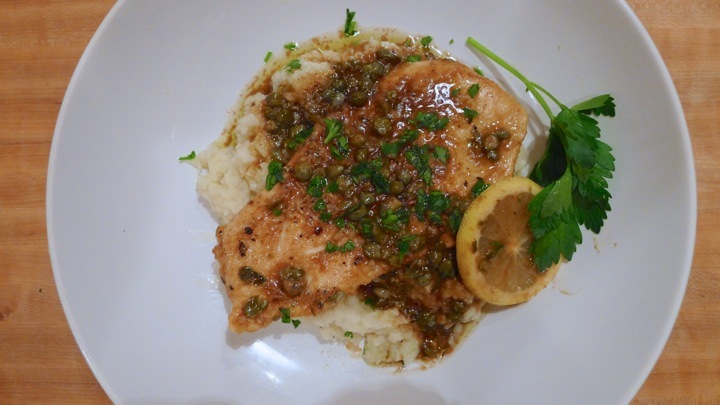 Chicken piccata is one of my favorite go to (and fail proof) meals that I like to make. 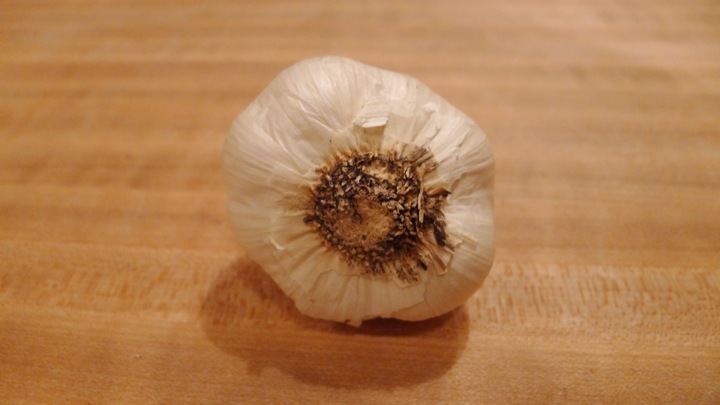 You can have it over pasta, or grains, or just by itself. 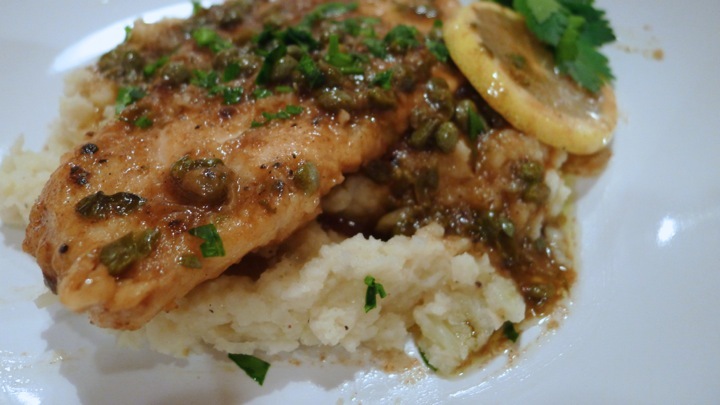 Tonight I tried it over some mashed cauliflower and it went really well together! 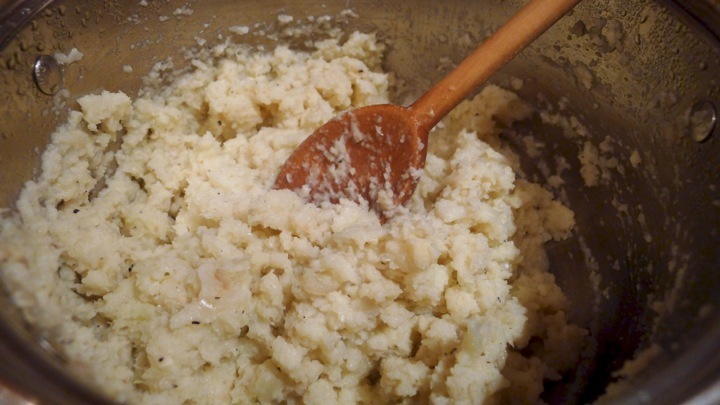 Cauliflower is so delicious and a great alternative to the usual mashed potatoes. It’s much healthier and not as heavy. 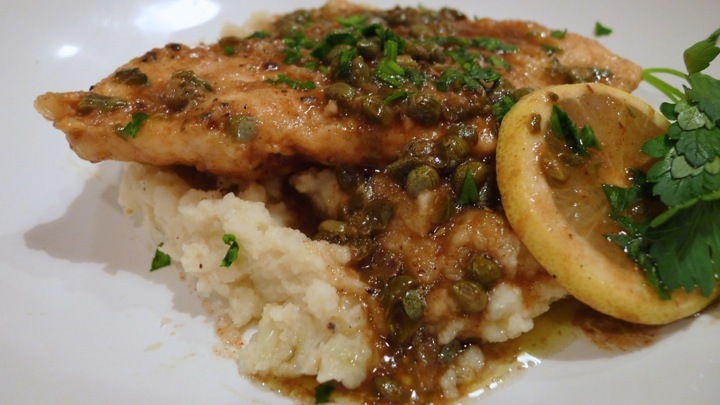 A vegetarian option for this could be using the cauliflower as the “chicken” and just roast it in the oven until a little crisp then pour the piccata sauce over the top! 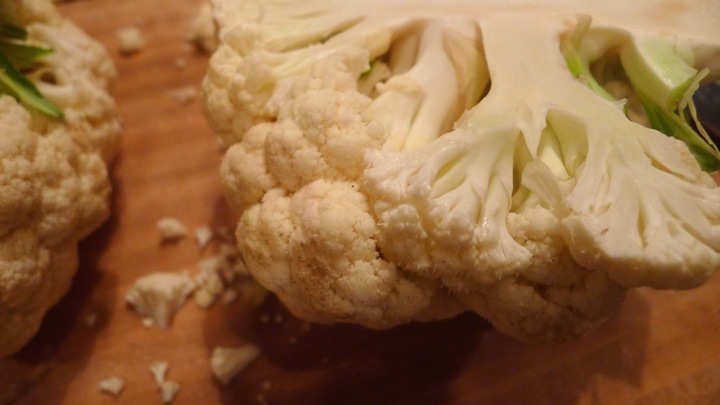 Start with the cauliflower. 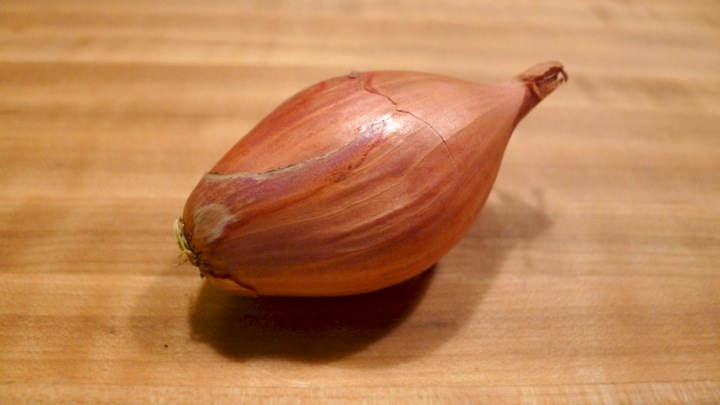 In a large pot, sauté the shallot and garlic for a minute or two. 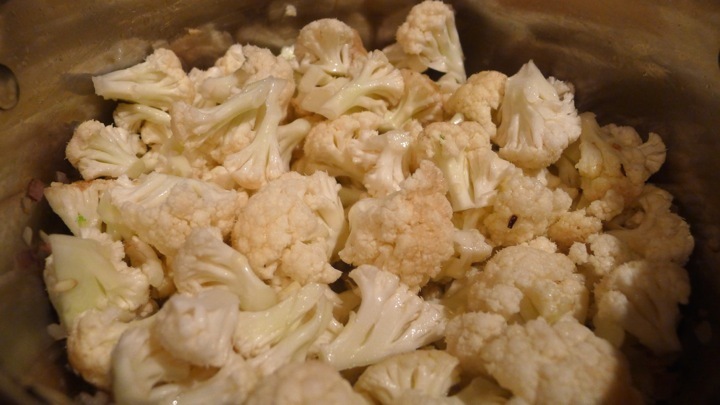 Add the chopped cauliflower and about 1/2 cup water. Cover and simmer for 5-10 minutes or until the cauliflower is fork tender. Place the cauliflower mixture in a blender with a good drizzle of olive oil (or use a hand blender) and blend until smooth. Salt and pepper to taste. Now cook the chicken! Butterfly the chicken by slicing it in half through the center, making 4 thinner piece of chicken. Salt and pepper both side of the chicken well, then dredge with flour and shake off any excess. 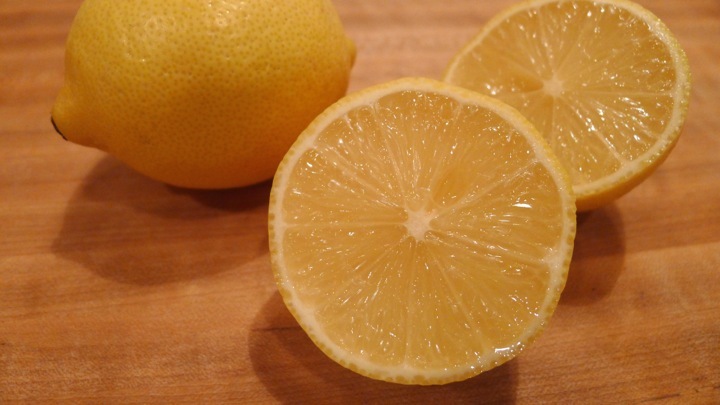 Place in a hot pan with 2 tablespoons butter and a good splash of olive oil. Cook for 3 minutes, then once a little browned flip and cook for another 3 minutes on the other side. Plate the chicken. In the same pan add the chicken stock, lemon juice, and chopped capers, scraping the bottom of the pan to pick up any brown bits (that’s where all the flavor is!) 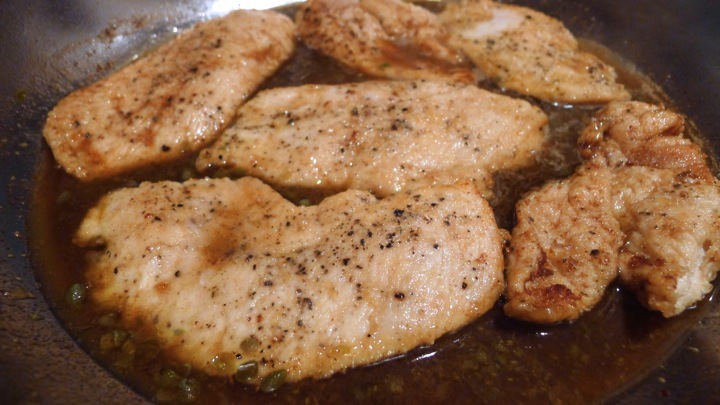 Return the chicken to the pan and cook in the sauce for about 5 minutes. 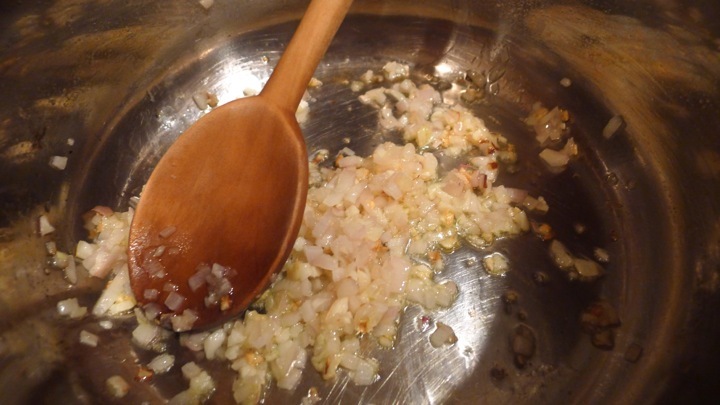 Remove the chicken to a platter and add another splash of chicken stock to the pan, mixing well. 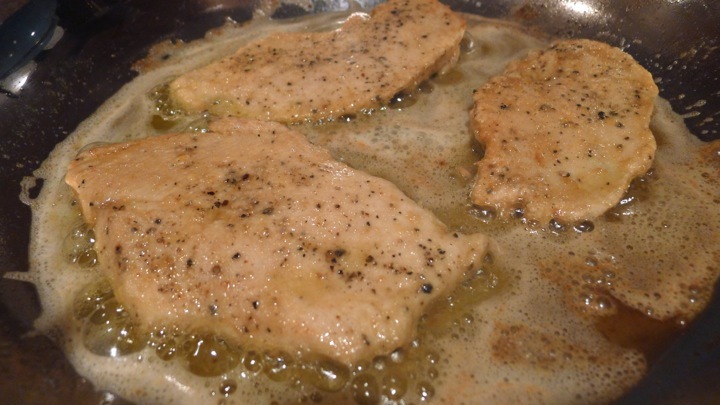 Pour the sauce over the top of the chicken. To plate, scoop a bit of mashed cauliflower, then top with the chicken and sauce. Garnish with some freshly chopped parsley and enjoy!